Looking for the perfect gift? Hoping to treat yourself? 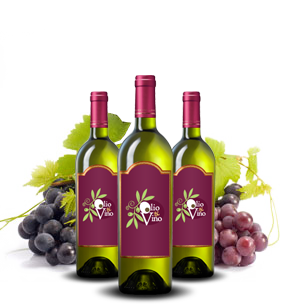 Try any of our gourmet products—the finest Olio & Vino has to offer. We’re certain they won’t disappoint. 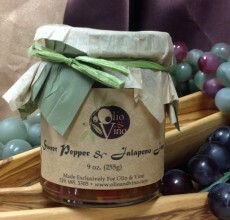 Checkout “Romano Salami” has been added to your cart. Soft, creamy and delightful. 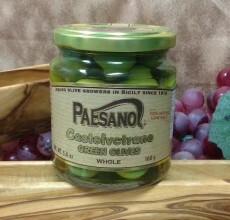 These Olives make snacking fun! 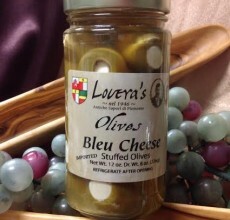 Soft, creamy and ever so pungent blue cheese is stuffed into plump, toothsome green olives make snacking simpler than ever. Sweet and Tangy. 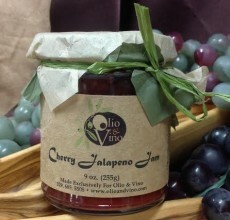 This jam is great over cream cheese, on crackers, over a pork chop, or on toast. Sweet with a little heat. This jam is great over cream cheese, on crackers, over chicken, or topping your burger. Tart and Spicy. 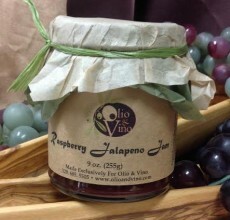 This jam is great over cream cheese, on crackers, over a pork chop, or on toast. 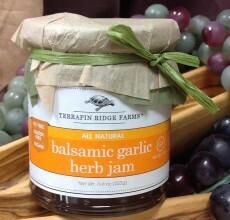 Balsamic vinegar, roasted garlic and herbs come together to form the perfect gourmet jam. Delicious spread over Brie, then heated until Brie is warm. 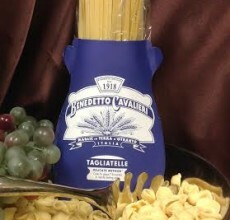 Short wide strip of pasta that is loosely rolled like a scroll. The shape makes it perfect for capturing every drop of sauce. 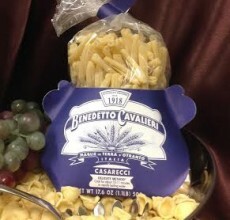 A traditional pasta made with first quality durum wheat semolina and water. Hand made and manufactured with the "delicate method." 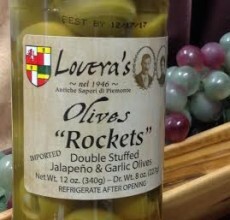 Double Stuffed Jalapeno & Garlic stuffed Olives. 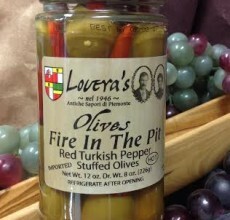 Red Turkish Pepper Stuffed Olives. OUT OF STOCK - Freshly packed in early October immediately after the harvest. 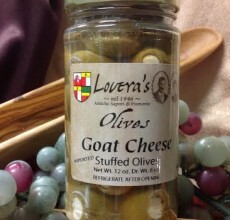 Produced by the Asaro family for nearly a century with the same olive trees that they have owned for over 4 generations. 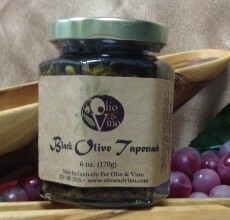 Kalamata Olives, Black Olives, Onions, Olive Oil, Capers, Anchovy Paste and oregano are all it takes to make this deliciousness in a jar!